The latest stop on the nascent Main Street LRT’s roadmap is fast approaching this week. At Wednesday’s committee of council meeting, staff will present an update on the project, which had been stalled until last December, when Councillor Gurpreet Dhillon revived the question of the route and council voted to explore how to advance the project. Staff will present three options for the route, the most expensive, at $1.7 billion, involving a surface route between Steeles Avenue and Nanwood Drive and continuing north from that point underground. While it is not known how Mayor Patrick Brown will vote come Wednesday, that alternative, listed as option 3.a, falls in line with what he has advocated for since his election campaign. 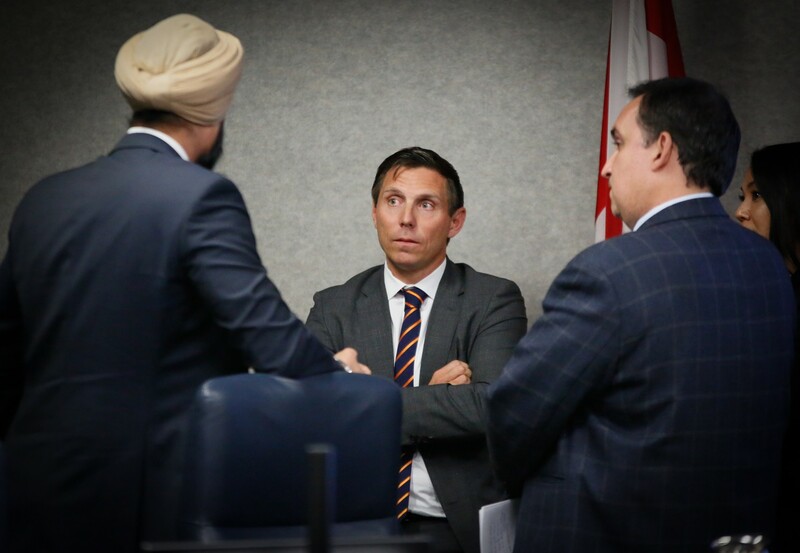 Mayor Patrick Brown and Councillor Gurpreet Dhillon have been at odds over the LRT route in the past. Brown initially butted heads with Dhillon back in December when the LRT became one of the first orders of business for the new council. He wasn’t keen on restoring a proposal that had been strongly backed by ex-mayor Linda Jeffrey. The option to tunnel the LRT through sections of the Main Street route that were particularly contentious when council rejected it in 2015 was the compromise they settled on, and council voted unanimously at that December meeting to explore the amended route. “We’re never going to get federal funding, we’re never going to get provincial funding if we’re divided,” Brown said at the time of the vote. The other two options, though significantly cheaper, still present a hefty price tag for Brampton’s taxpayers. Options 1 and 2 are both surface pathways with dedicated LRT lanes—ones that are separated from regular traffic—on some sections, but not all. Option 2 includes a downtown loop, where the line would briefly travel south on George Street and merge on Main Street via Wellington Street W. The price tag for routes 1 and 2, respectively, will be $400 million and $450 million. Option 3 and its sub-categories will all crest over $1 billion. It should be noted that the latest LRT project has yet to receive any outside funding — a far cry from the original initiative during Jeffrey’s tenure, for the entire route starting at the bottom of Mississauga, which would have enjoyed full provincial funding of $1.6 billion. When Brampton rejected the Main Street route that was part of the provincial funding it gave up as much as $400 million for its share, instead opting to spend $4.4 million to explore alternative routes along McLaughlin and Kennedy Roads. The Main Street LRT was long ago conceived as a continuation of the Hurontario LRT, (jointly called the HMLRT) which had been designed to travel north from Port Credit to Shoppers World in Brampton, then continuing on to connect with GO Transit’s Kitchener train line in downtown Brampton. Currently, after the previous Brampton council rejected the provincially approved route, the LRT that is now moving forward will run through Mississauga and stop at Steeles. A three-stop downtown loop in Mississauga was scrapped from the plan recently by the provincial government, along with some streetscape improvements and a pedestrian bridge, with the ruling PCs citing cost. The released decision for the removal of the downtown loop, which represents a major disappointment for Mississauga, did contain a glimmer of hope for Brampton in that it suggested an extension deeper into Brampton, following the original plan, was still a future possibility. It’s unlikely that there will be any action on light rail in the city without major infusions of cash from the province, which has shown itself unsympathetic to Brampton’s dreams of major projects, such as improved health care and higher-education infrastructure, under the Doug Ford government. The need for higher-order transit in the city is more dire than ever. Recent ridership numbers show that more people than ever are using Brampton Transit, with growth each year well above the national average of 1.5 percent. 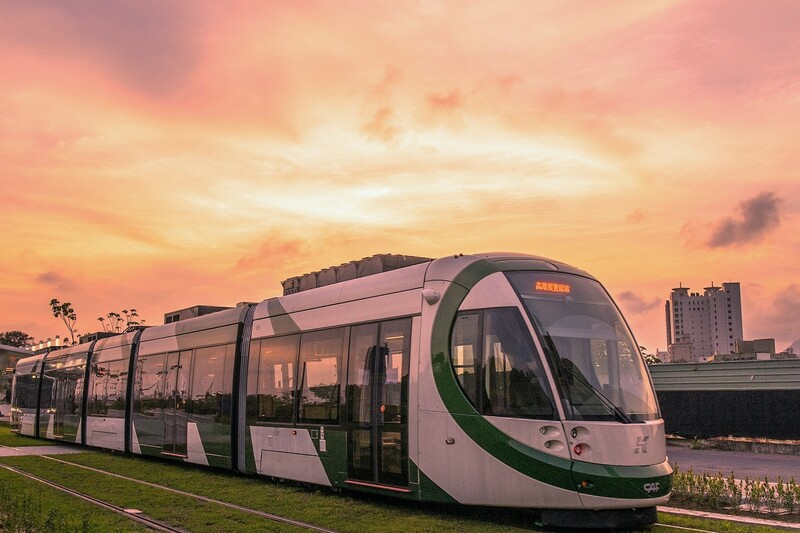 BT says ridership increased by 14 percent in 2018. Growth in demand and frequency of service is putting pressure on the city to add more buses to an increasingly overcrowded system. The plan is to add 46 conventional buses and 25 Züm buses to BT’s fleet, increasing the number of buses on the road by 16 percent. Other unanswered questions remain. The same month the proposed Main Street alignment was revived, staff asked council to institute a pause in the Downtown Reimagined streetscaping plan, which had not accounted for the future presence of light rail there. The LRT, according to staff, became one of several unexpected variables in planning, and they needed time to reassess the project’s costs. Council voted to pause all work on the streetscaping and infrastructure replacement. Underground water diversion channels below the downtown’s streets present a challenge to the LRT as well. A tunnel option from Nanwood Drive to Brampton GO would surely go straight through the 19th-century channels, requiring further construction work and costs which, given the city’s shaky knowledge of the route and condition of those channels, adds an extra element of uncertainty to cost estimates. Staff will be coming back on Wednesday with a request for an additional $1 million for the ongoing environmental assessment on top of the $4.4 million already budgeted.